“I realized three suitcases were just too much when you’re on tour, you only ever open one of them!’ Charlotte Gainsbourg says, laughing. It’s a few days after her concert at NYC’s Webster Hall, the last stop of a month-long whirlwind, and the chanteuse/actor is grabbing a few minutes to chat with me about the exigencies of life—and fashion–on the road. When the occasional formal event rolls around, it helps that Gainsbourg has Ghesquière, who she has been friends with for ten years, in her life. “For black tie I ask Nicolas. We think about it together. I like his ideas; I always find something.” Gainsbourg has a knack for teaming up with the perfect partners. 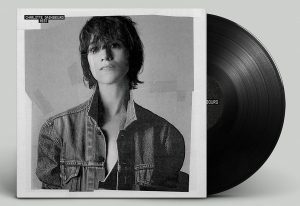 In the same way that she has Ghesquière to collaborate on her wardrobe, she has similarly hooked up with Beck, who wrote all the music for her current album, IRM.